Please send me more information on Sun City Riverbend at, Bluffton Thank you. 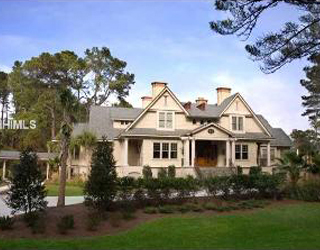 There are numerous choices for home buyers in Sun City Hilton Head. Homes range from just over 1,000 sq. ft. villa townhomes to over 4,000 sq. ft. custom single family homes. This community will have a total of 8,200 homes at build-out. A wide array of home styles and floor plans cater to the needs of active adults who want low-maintenance home living. The homes have been thoughtfully designed around the needs of active adult buyers. Expansive great rooms, entertaining kitchens and ample outdoor living space are showcased on most homes. Many of the homesites enjoy golf course and nature views. There have been several dozen different floor plans offered since the community started construction in 1995. Additionally, the exclusive waterfront Riverbend neighborhood boasts a selection of custom built homes on oversized lots. 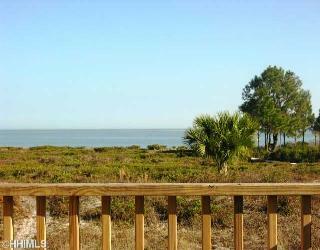 In the Riverbend area of Sun City Hilton Head buyers can purchase vacant lots and build a custom home with no required timeframe. Residents throughout all of Sun City are responsible for annual Property Owners Association dues and a transfer fee when purchasing. Additionally, some neighborhoods within Sun City have certain supplemental fees and guidelines. Sun City Hilton Head boasts over $80 million dollars in amenities and 100 special interests clubs and coordinated group activities. Amenities include two 18-hole championship golf courses and a 9-hole putting course, ten lighted clay tennis courts, six swimming pools, a softball field, sports complex, three fitness centers with exercise equipment and classes, biking and walking trails, a fishing lake, community garden plots, game rooms, a large ballroom , conference center, computer lab, library and reading room, arts and crafts studios. Social and sports clubs, classes and planned activities abound at Sun City Hilton Head where you can be as busy or as relaxed as you choose. In addition to all the sports, games and hobbies made possible by the facilities at Sun City Hilton Head, there is a strong spirit of volunteerism that is encouraged and supported by residents. Volunteers work with area schools as aides and mentors to the students; others provide business advice, tax and legal assistance, and translation services. Residents also work in the area's hospitals and clinics or deliver Meals on Wheels to shut-ins. Service clubs and social organizations take on large projects in the local community and beyond. The first Sun City was opened in January 1960 in Phoenix, Arizona. It included a golf course, a recreation center, its own shopping center, and five model homes. The Sun City premise is that people who purchase in these "seniors only" developments want to pursue an active retirement lifestyle among their peers. Sun City communities across the U.S. cater to the needs and tastes of their residents, using knowledge gleaned from surveys and strategic planning to assure their success. An emphasis on neighborhoods with a wide variety of easily-accessible amenities has promoted the mature lifestyle concept that is so recognized as the Sun City "brand". How many active real estate properties are currently listed for sale in Sun City Riverbend , Bluffton? Currently there are 131 listed for sale. Are there any foreclosures currently for sale in Sun City Riverbend , Bluffton? No, currently there are no active listings in Sun City Riverbend with a foreclosure status. Are there any short sales currently for sale in Sun City Riverbend, Bluffton? No, currently there are no active listings in Sun City Riverbend with a short sales status. What is the price range and average price for residential homes in Sun City Riverbend ? The price range of the 118 listed homes for sale in Sun City Riverbend is between 190K and 647K. The average price is 347K. Click here to view all residential home listings in Sun City Riverbend. What is the price range and average price for residential land and lots in Sun City Riverbend ? The price range of the 13 listed land and lots for sale in Sun City Riverbend is between 100K and 300K. The average price is 178K. Click here to view all residential land and lots listings in Sun City Riverbend. What amenities a buyer should expect to find in Sun City Riverbend ? What kind of views a buyer should expect to find in Sun City Riverbend ? 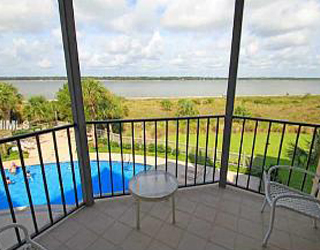 Sun City Hilton Head by Del Webb is the largest active adult gated community in South Carolina. The community is surrounded by world-class amenities and 36 holes of championship golf on site. Sun City Hilton Head is located within easy range of shopping, restaurants, schools, churches, medical facilities, recreational amenities, and is within easy driving distance to Olde Town Bluffton, Hilton Head, Beaufort, Charleston and Savannah. More than 13,000 residents enjoy many social events and an abundance of recreational activities. The beauty of the landscape and the high level of resident involvement make Sun City Hilton Head a premier active adult community for property owners aged 55 and older.